The Ford Model T put America on wheels, and 50+ years later the Ford Mustang did it in style. 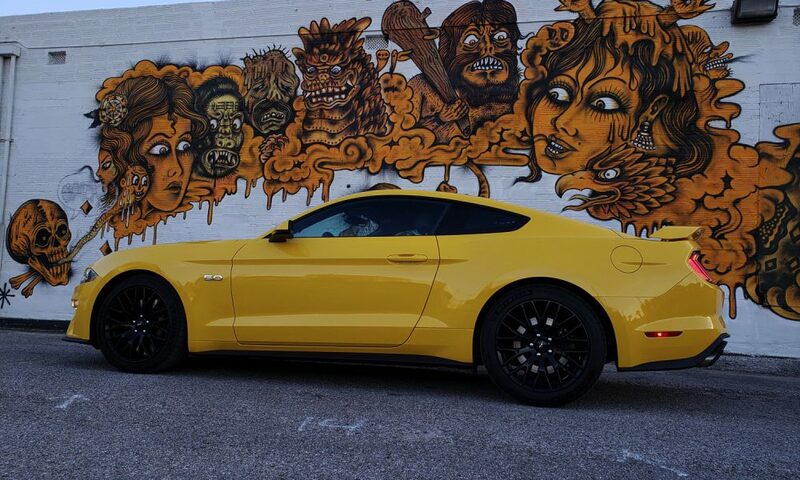 The Mustang, like so many other vehicles, has become a muse in pop culture. Songs have been written about it and films have turned it into an action hero; it even has its own running joke on the Internet. 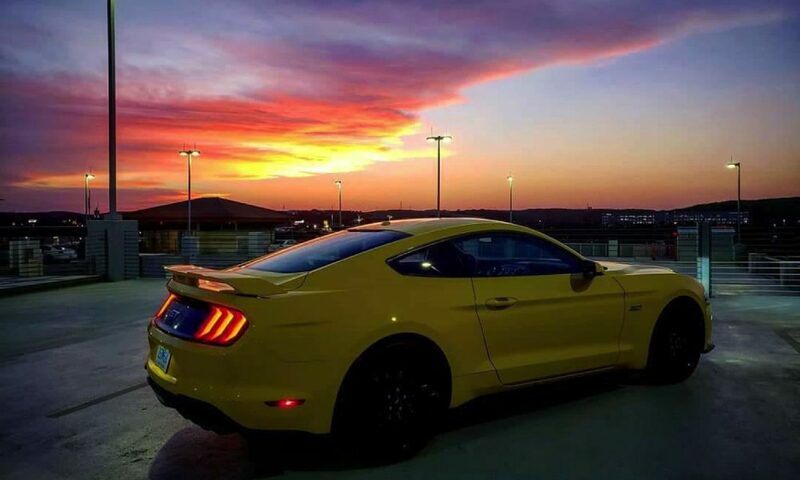 Love it or hate it, the Ford Mustang is the people’s sports car in these United States. 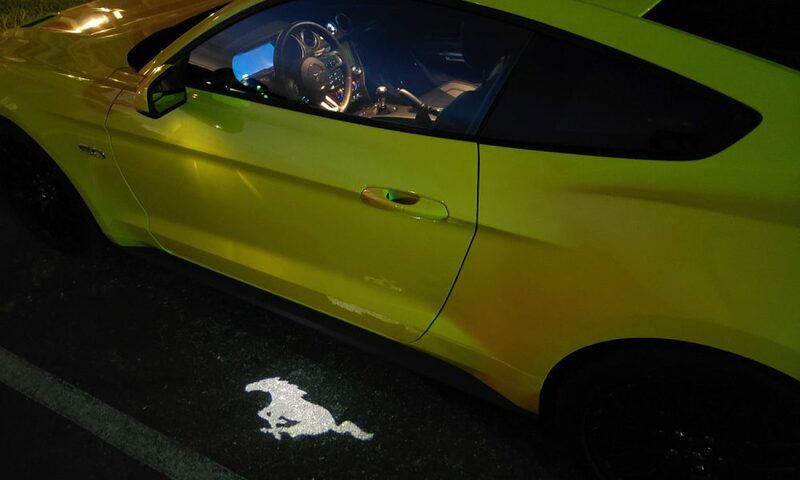 Not even the tsunami of crossovers can stop the pony car from staying true to itself. 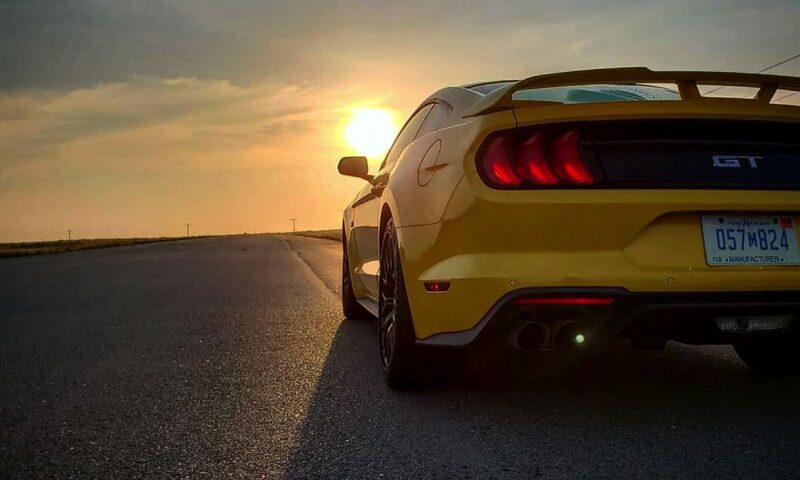 So, what does the 2018 Ford Mustang GT have to offer? Is it still the car next door so many of us think of when we imagine open roads and summer flings? 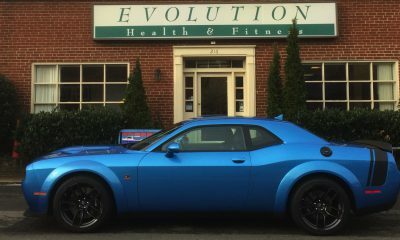 The car that fits the niche within a wide spectrum of people, ranging from street racing hot rodders to sweet sixteen parties. 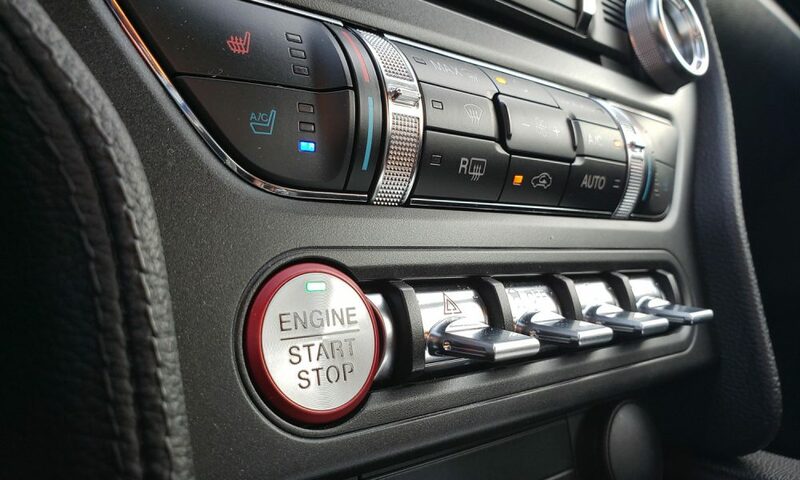 I drove the latest generation of Ford’s galloping prince for 850 miles to find out. 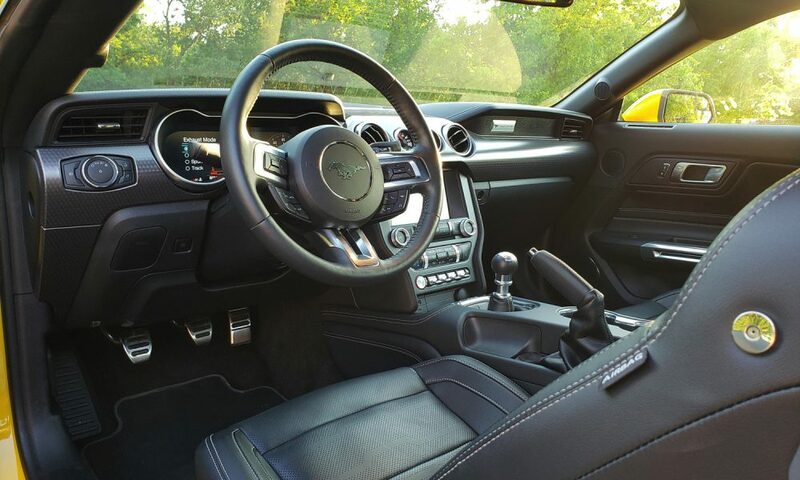 INTERIOR: I’ve driven Mustangs from the 60’s through the 00’s and the interiors follow a trend. 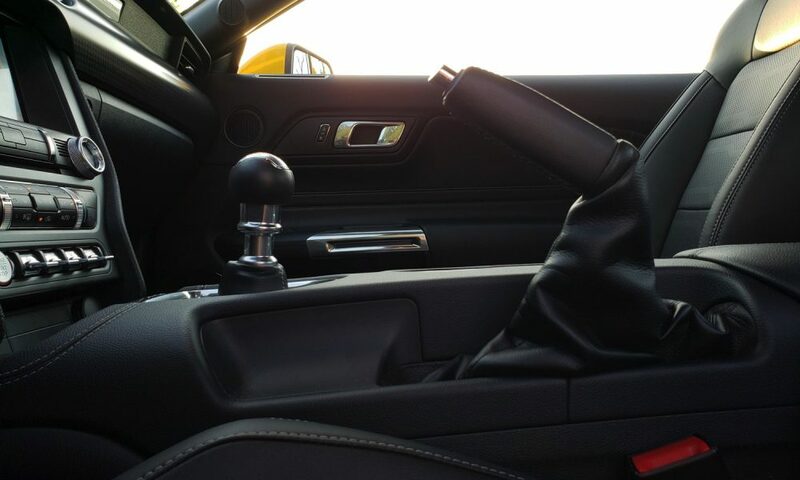 Ford has mastered the ability to create an interior for the Mustang that is ‘nice’, nothing more and nothing less. 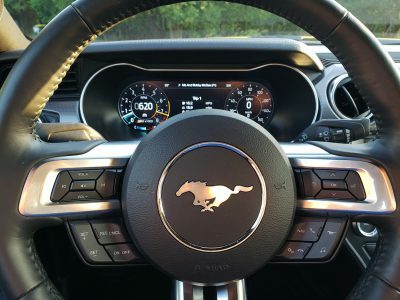 Sitting inside the new Mustang for the first time is like watching a reboot of a classic film. You see hints from the past that made it what it is, while the latest tech works hard to create a new generation of fans. 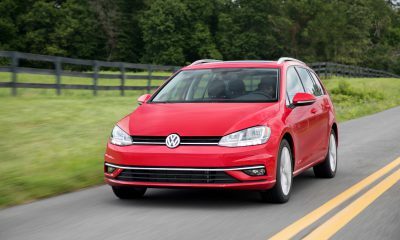 The model tested was equipped with a 6-speed manual transmission. The shifter sat short and at arm’s reach. 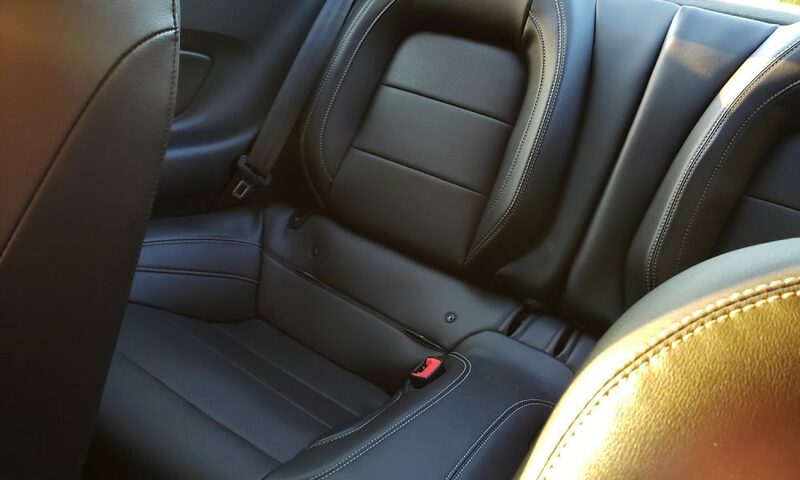 The bucket seats look sporty but don’t offer much in the way of luxurious comfort. 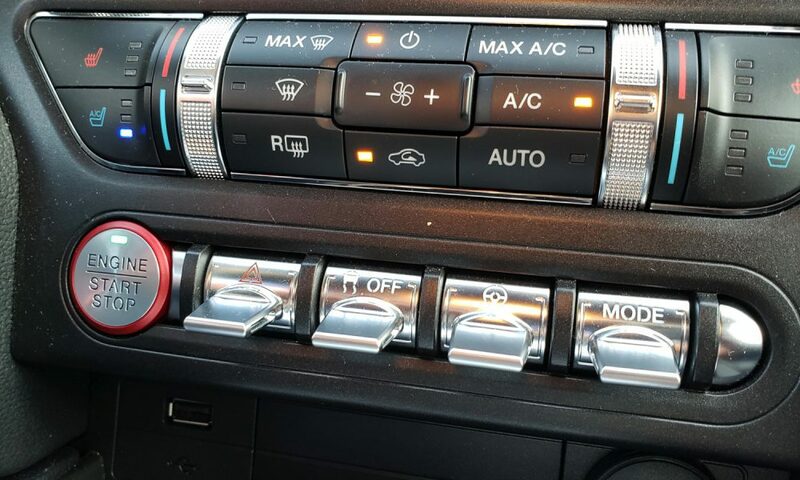 Performance packages offer heated and ventilated seats, with a leather-wrapped steering wheel, but the ventilated seats felt overwhelmed in the scorching South Texas heat. A 12-inch LCD Digital Instrument Cluster is an all new option for 2018. 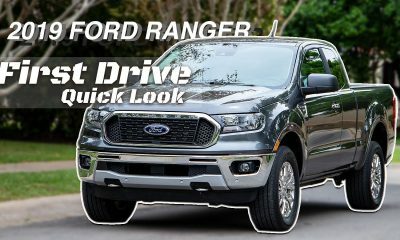 Inspired by the digital instrument cluster in the Ford GT, it also provides Ford’s Track Apps, which include Line Lock for drag racing, a lap timer with enough memory for years of track days, and an acceleration timer. 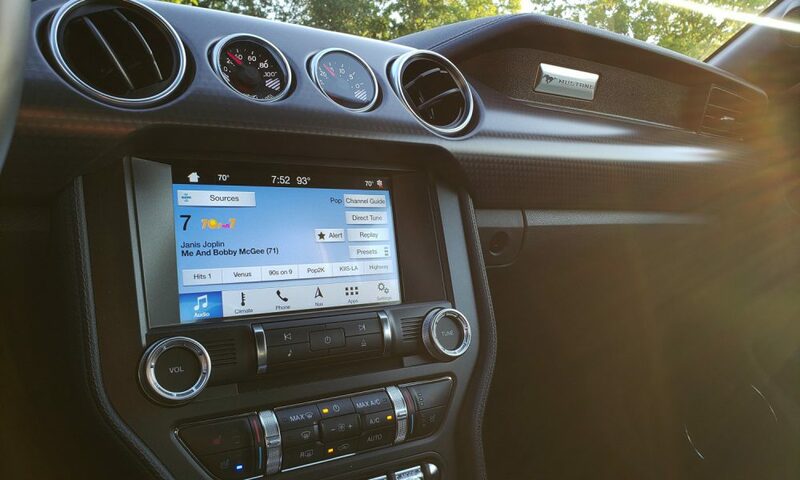 The digital instrument cluster is customizable and changes its layout depending on which drive mode you’ve selected. You can even change the colors in settings and make your own color combinations. (I went with orange and light green.) 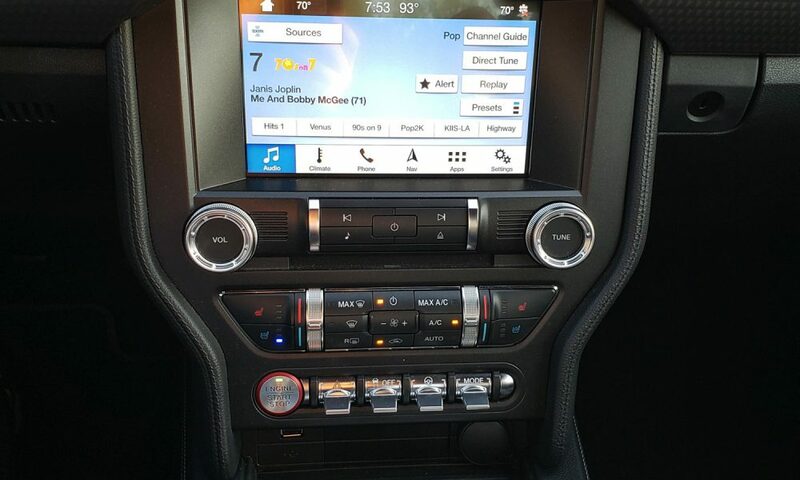 All the dials, buttons, and textures in the Mustang look cool and perform well. However, they have an affordable plastic feel to them. And when I had passengers with me they complained about the lack of leg room in the backseat. Some said that their heads were resting against the rear window. 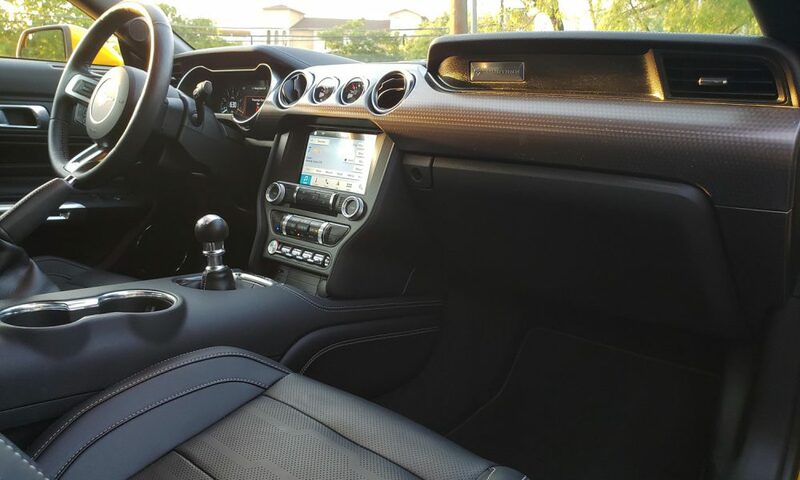 For me, the biggest problem with the interior is the amount of road noise that comes in when on the road. 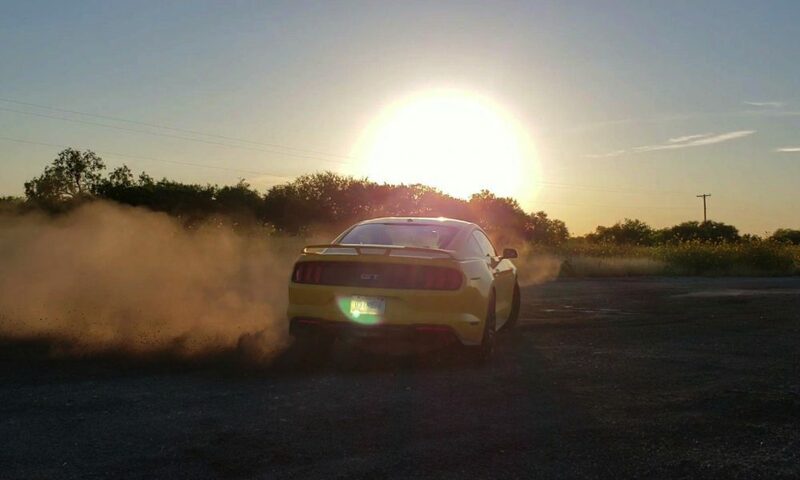 The rumble from the V8 is a welcome distraction to the never ending hum of tires rolling on the pavement. 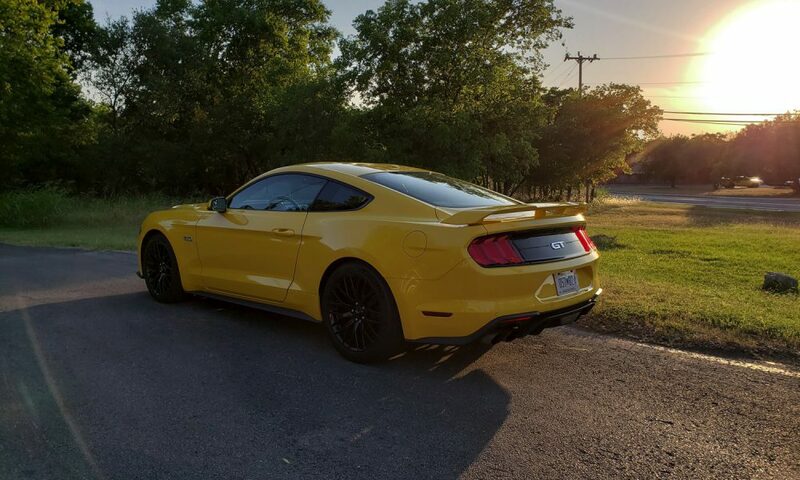 It makes for a pretty fatigued feeling when you step out of the Mustang after a long drive. EXTERIOR: As you’d expect (and hope!) 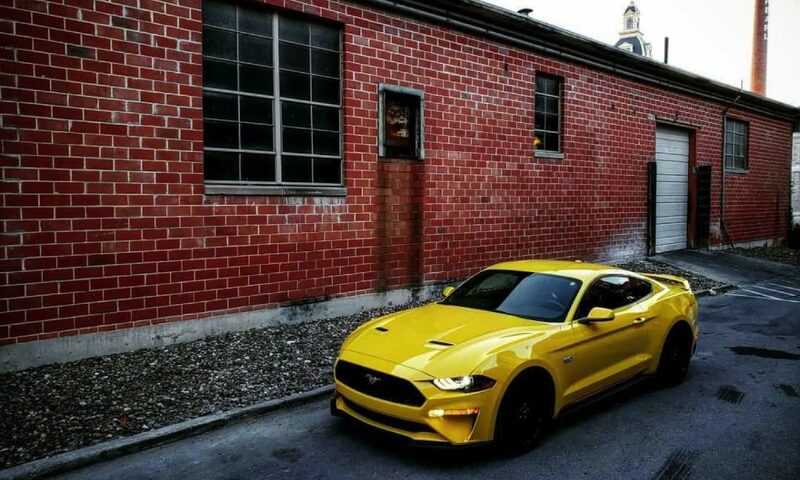 the design gives the Mustang a long hood and short trunk with a low roofline and fastback, and maintains the tradition with the iconic character of a two-door performance coupe. 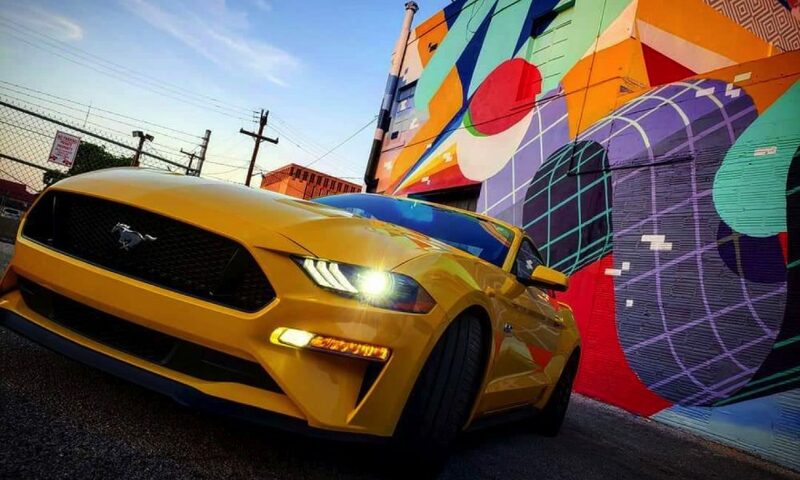 The Ford Mustang is offered in 11 factory colors for 2018, and only three of those color options come at an additional cost. 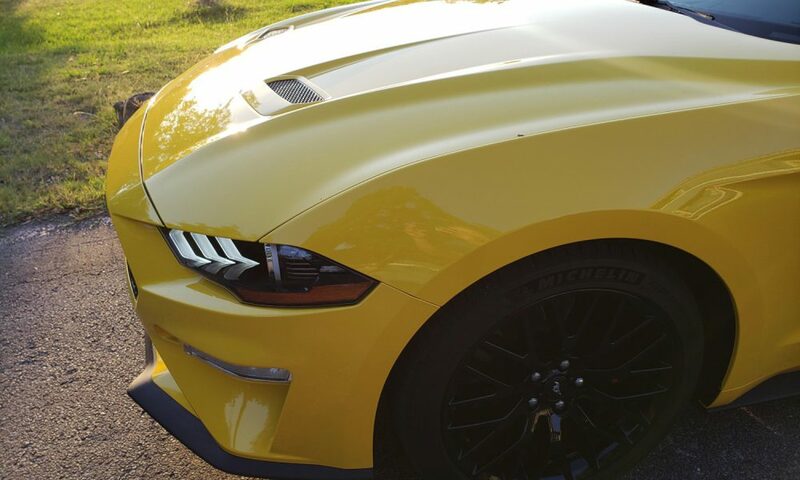 The model tested in this review was sporting a bright Triple Yellow with a $495 price added to the MSRP. 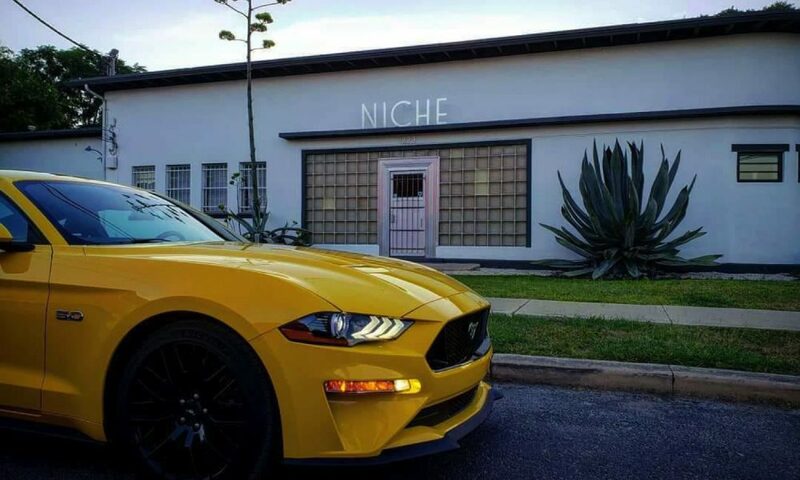 The color is bright enough to humble a Lamborghini, enough yellow to hide behind sunflowers. 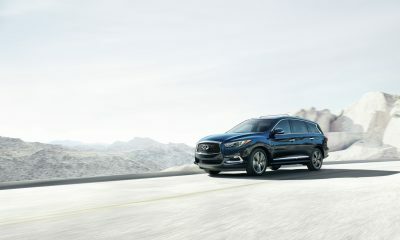 This test car was also equipped with the GT Performance Package, a $3,995 option. 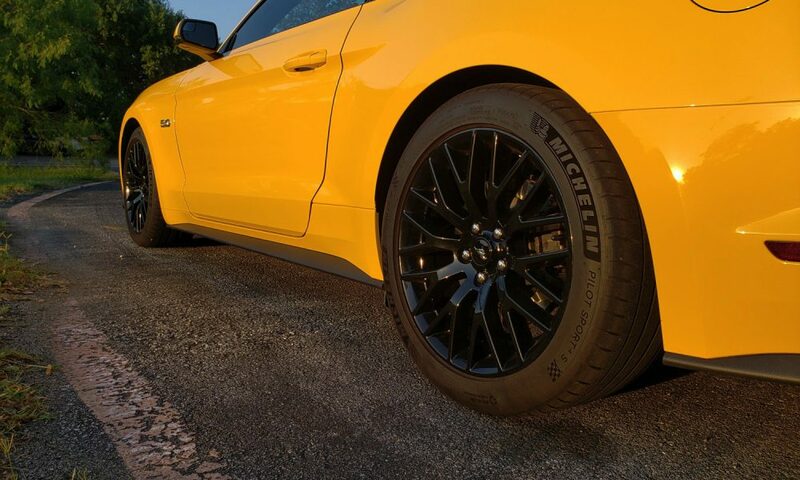 With this the Mustang gets several upgrades, including 19-inch black aluminum wheels wrapped in Michelin Pilot Sport Cup tires. Behind these wheels are a set of six-piston Brembo brakes with larger rotors in the front. 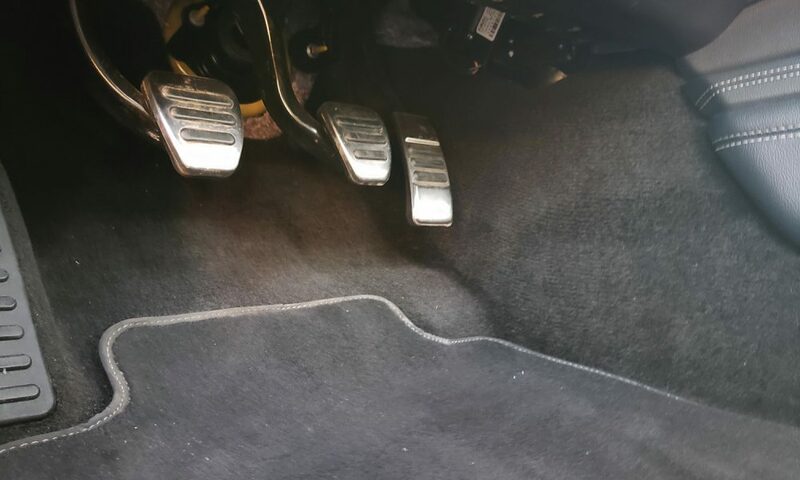 And they’re something you definitely notice when you touch the brake pedal. 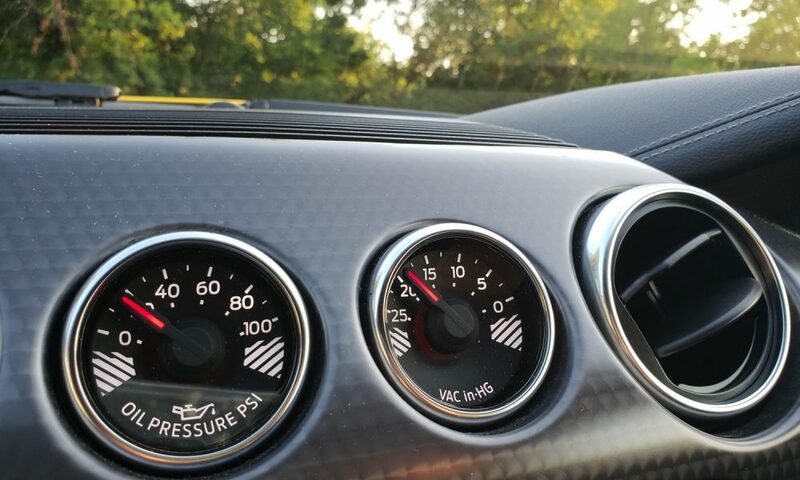 Other visual and functional upgrades include a gauge pack on the dashboard that shows your oil pressure and vacuum. Stab the throttle and you can see the vacuum needle spin around. 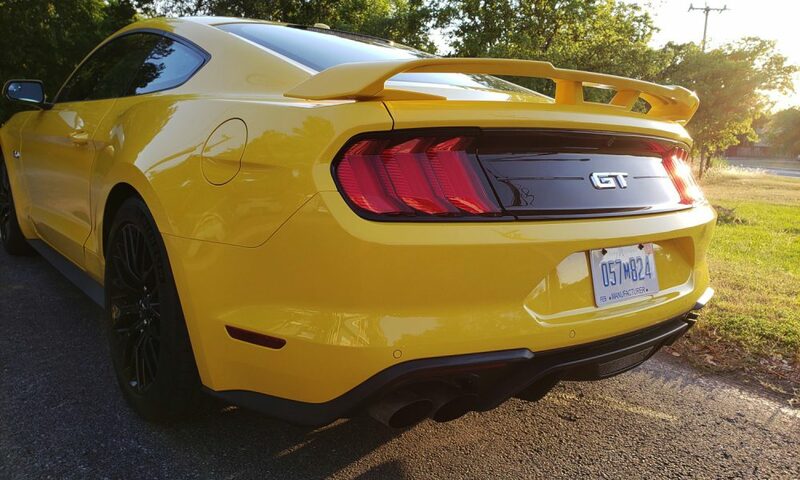 A rather large rear wing dressed the back of the Mustang. 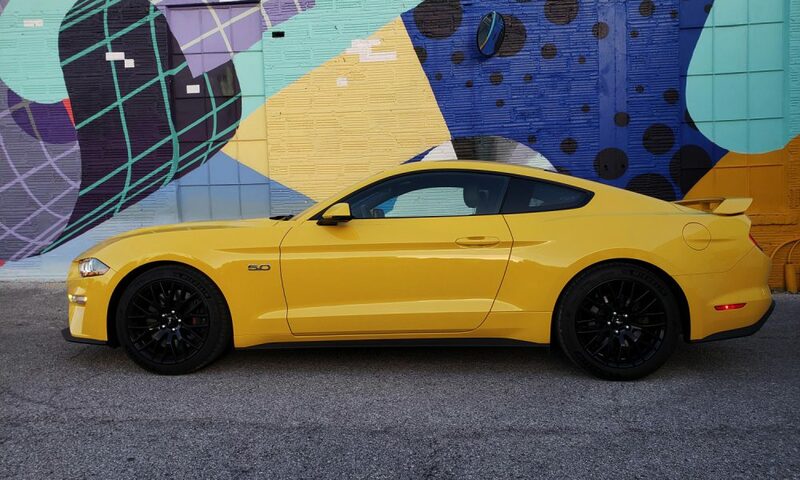 Overall it gives the car an almost ‘day two’ look, as if Ford did half the work for you in modifying the Mustang. 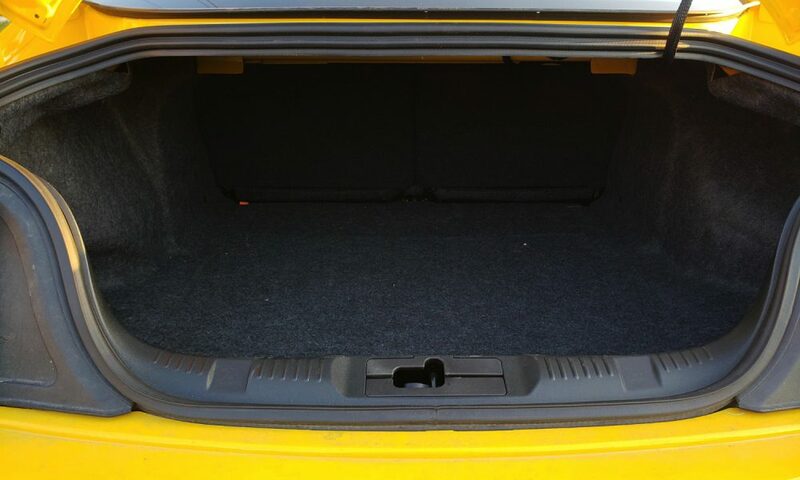 Underneath, the Mustang gets plenty of goodies for the added price. 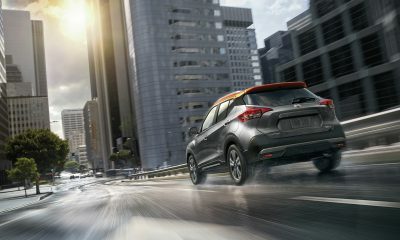 Heavy-duty front springs, larger radiator and Active Valve Performance Exhaust (an $895 option on its own). 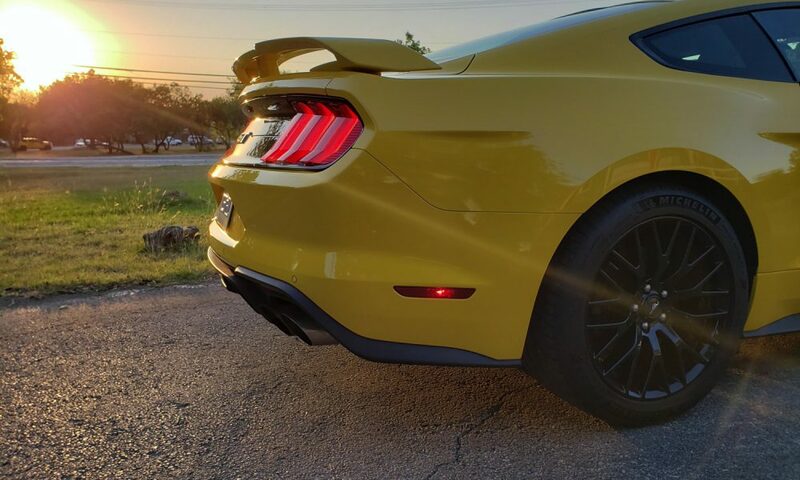 What the active exhaust does is allow the driver to select how loud they want their Mustang to be from four different options: Quiet, Normal, Sport, and Track. And giving you the choice on whether to wake the neighbors or let them sleep in. 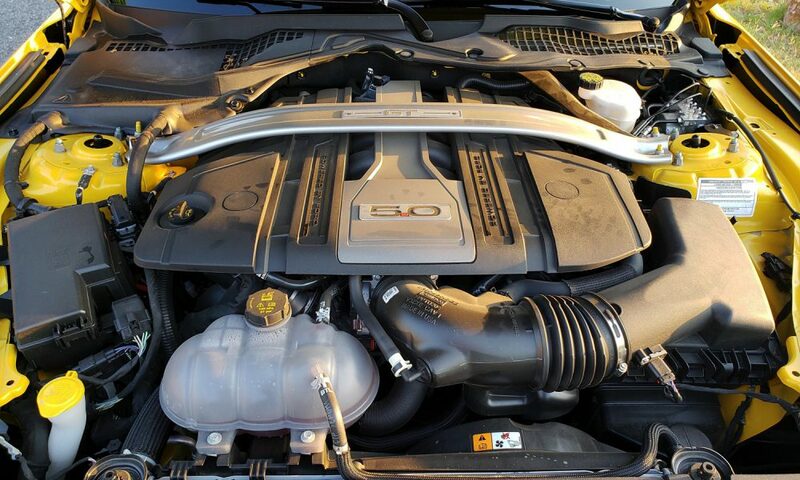 SPECS AND PERFORMANCE: This is the 3rd generation of Ford’s 5.0 liter Coyote V8, and it’s stronger than ever. 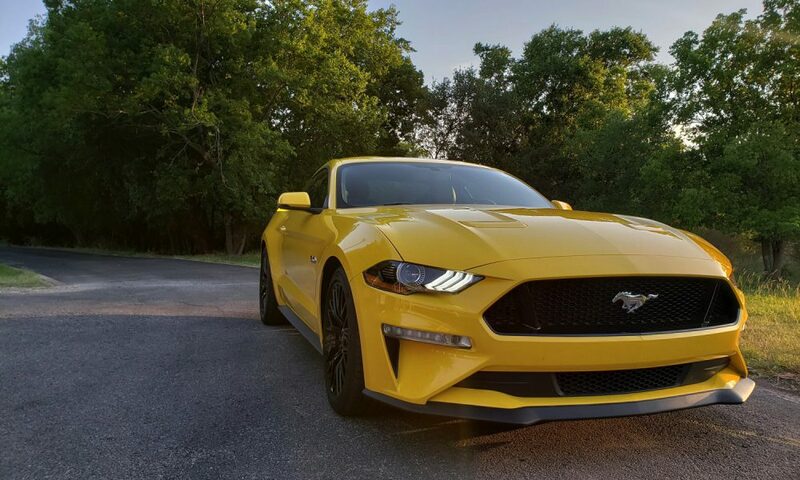 This engine provides the 2018 Ford Mustang GT with 460 horsepower and 420 lb-ft of torque. This is ‘all engine’, as it is naturally aspirated. 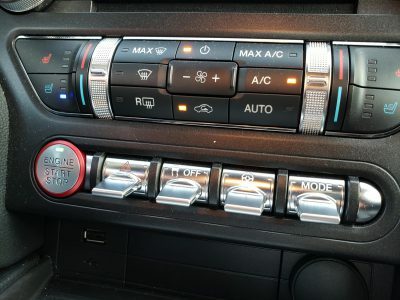 Transmission options include the traditional 6-speed manual, or a 10-speed automatic with paddle shifters. Having driven this exact car on a track a few months earlier, it was interesting to see the Mustang’s mood swings going from track to street. 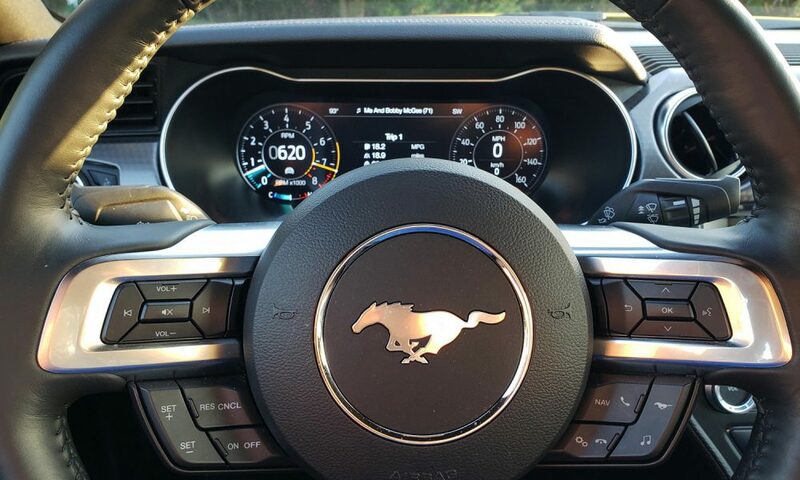 While driving the Mustang GT around town it never lets you forget that you are in a performance vehicle. 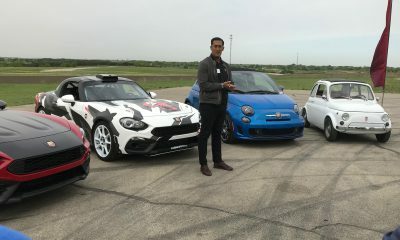 Thumbs ups from AMG Mercedes, Camaros, and Mopar were regular. The 5.0 makes a truly suggestive rumble, eliciting dirty thoughts of speed and tire smoke. 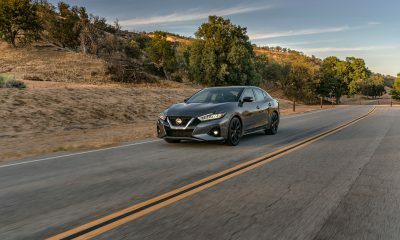 Brembo brakes are sensitive and will require a day or two to remember how much pedal travel is needed to slow down without sending your face forward at a red light, while the 5.0 has enough torque to let you drive around town in 6th gear and allow you to pass anyone riding the slow lane. 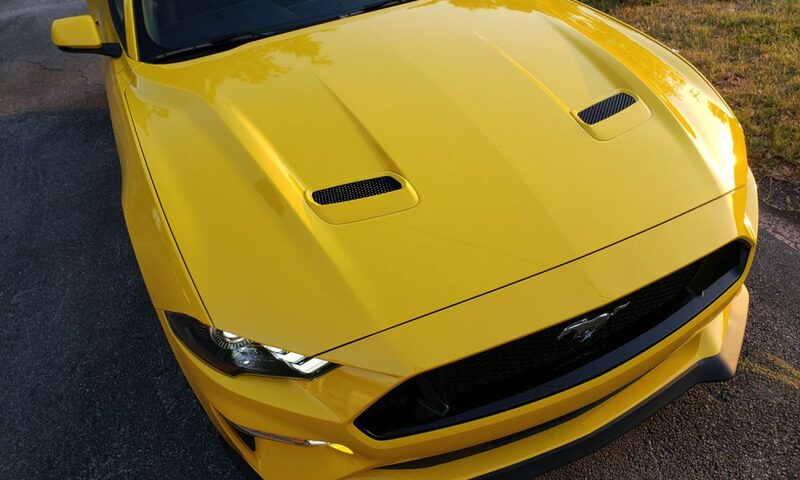 I drove the Mustang 850 miles and averaged 20 mpg. During bumper to bumper traffic I was still getting 17 mpg. 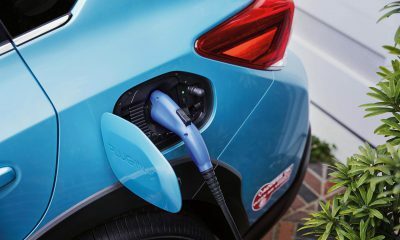 Ford says the GT can get 25 mpg on the highway, but I think the only way that is possible is without any fun. 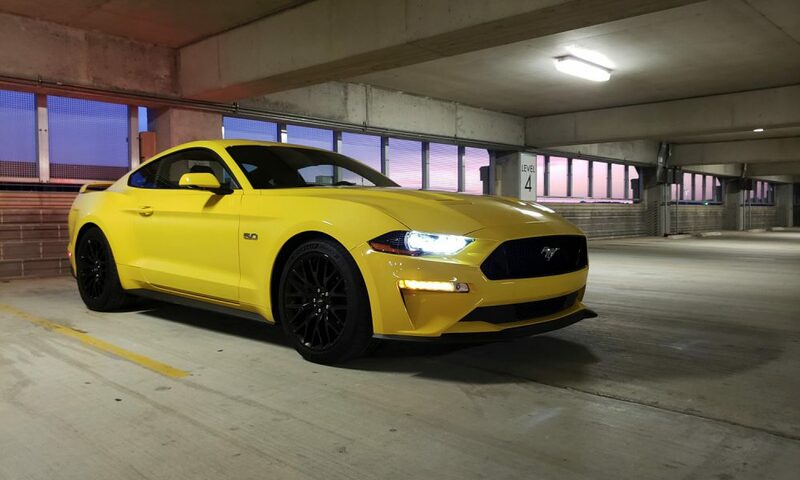 Pricing for the Mustang starts at $25K for the EcoBoost coupe, and can climb all the way up to the mid 50’s with options and performance packages. 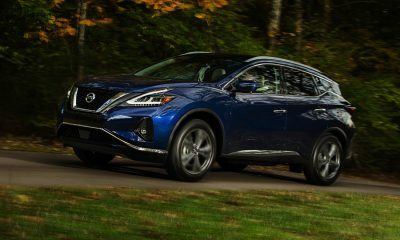 The model tested in this review had enough options to rank it at $48k. 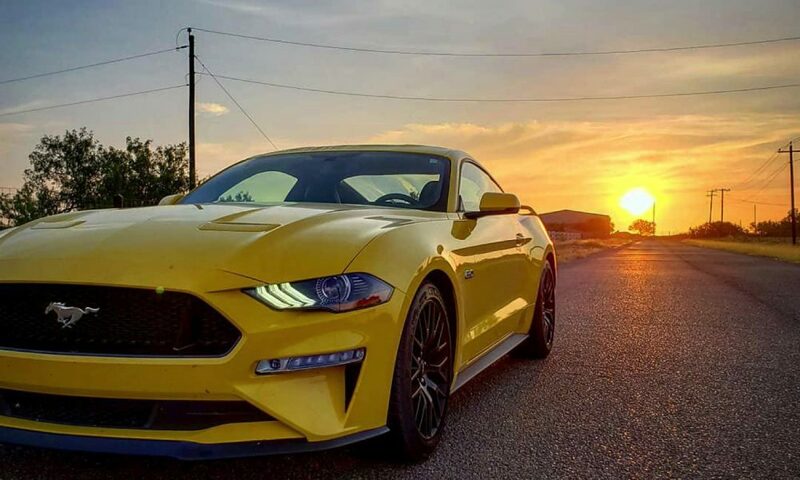 However, if you want the best of the stable Ford has to offer you can also get the GT350 for a higher (but more affordable than you might think) price. 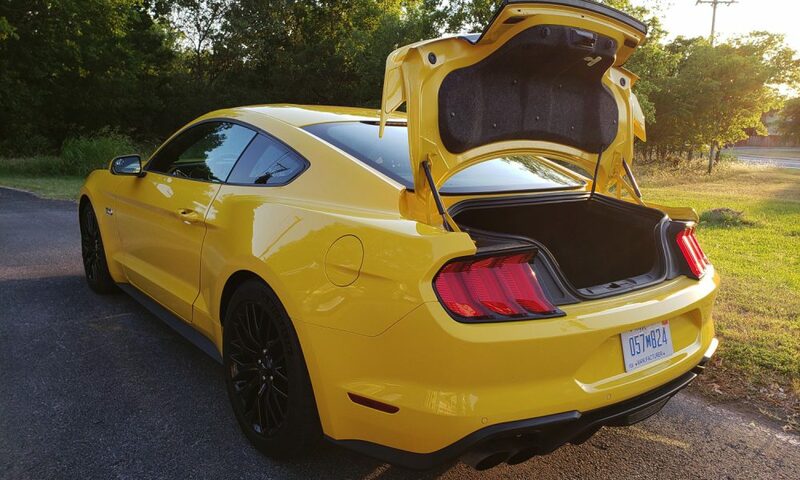 FINAL TAKE: The main thing I wanted to find out while reviewing the 2018 Ford Mustang GT was if it could truly be a grand tourer, to see if the Mustang could be used to drive across 1,000 miles to compete in a track day. 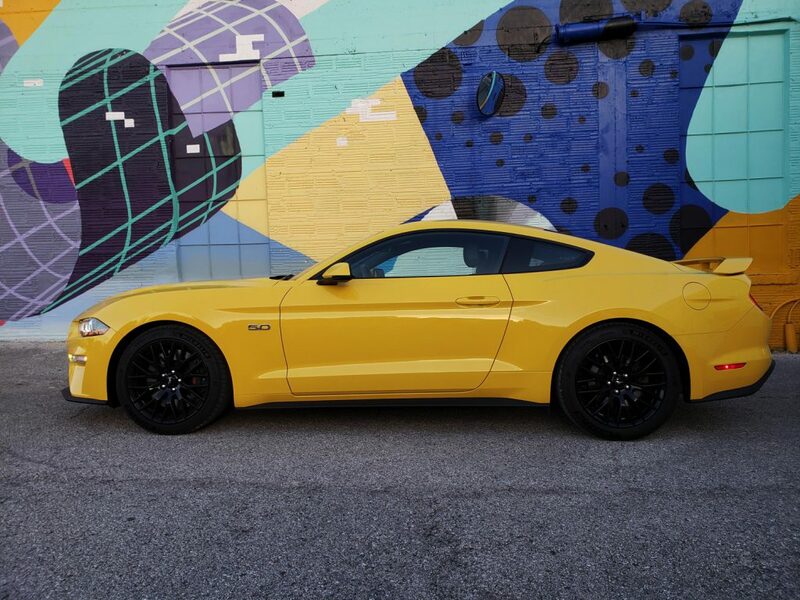 Can you road trip the 2018 Ford Mustang GT? Not really. 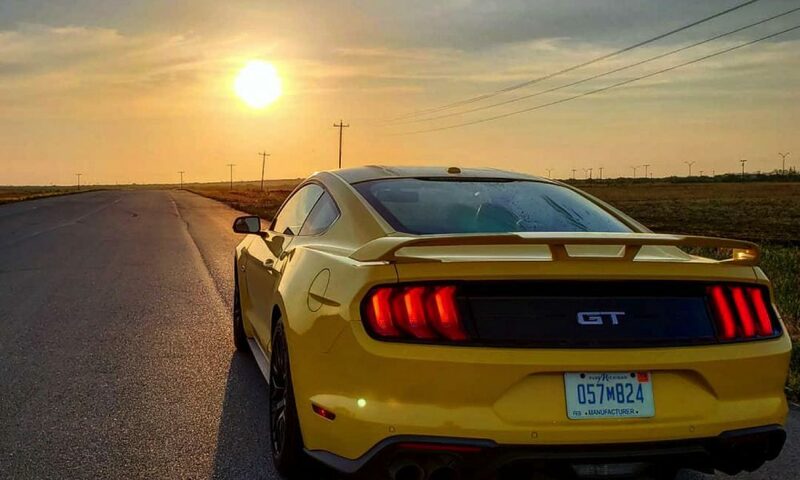 The biggest drawback to the Ford Mustang GT is that it’s not comfortable on the highway. 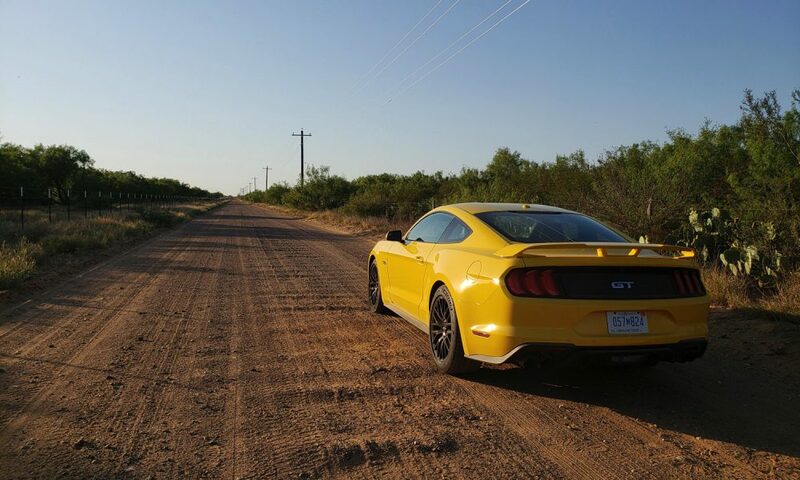 Driving 150 miles can leave you feeling tired from the road noise. 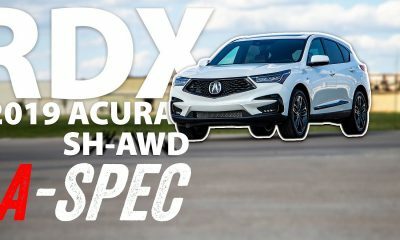 Not – notably – from the engine; it’s the sound of wind crashing against the car and the tires humming along the pavement. 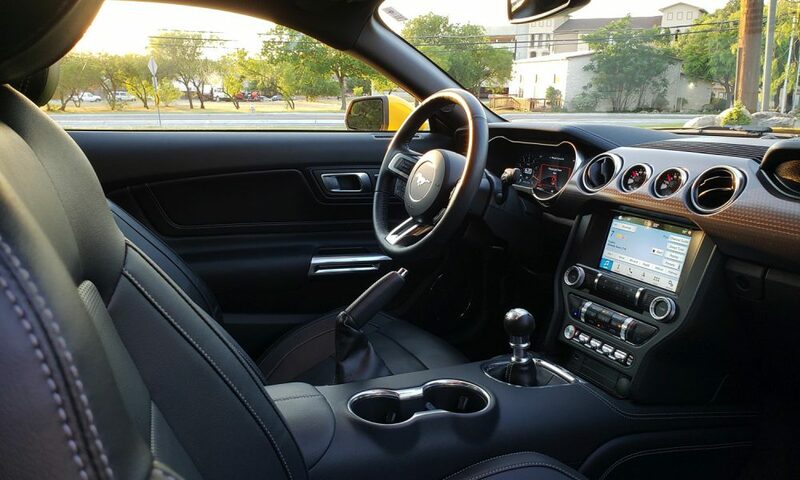 After paying over $40K for a Mustang you should expect the interior not to feel like a Focus. 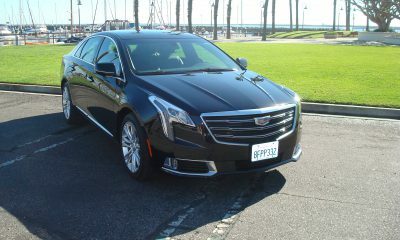 The seats are not very comfortable either, and passengers in the rear better stretch before getting inside. 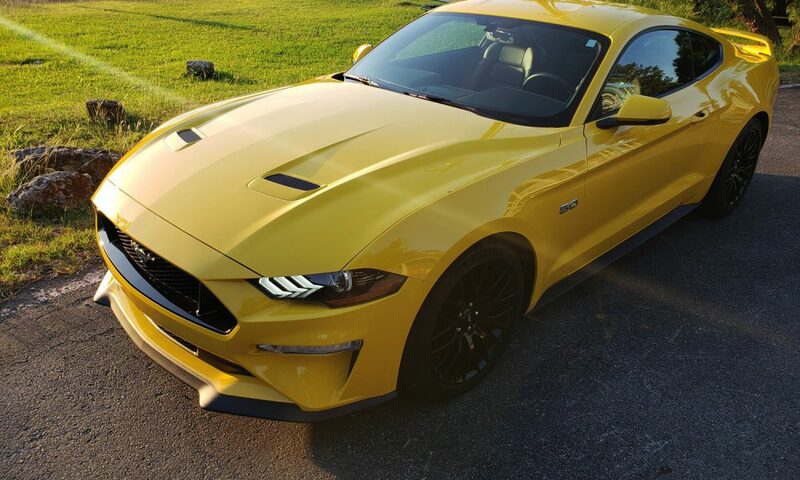 The Mustang’s Track Apps are neat, but if you aren’t planning on thrashing your new Mustang at a racetrack every month they’ll look more like a gimmick than a feature. The LCD digital instrument cluster is cool, but your money would be better spent on a performance package instead. 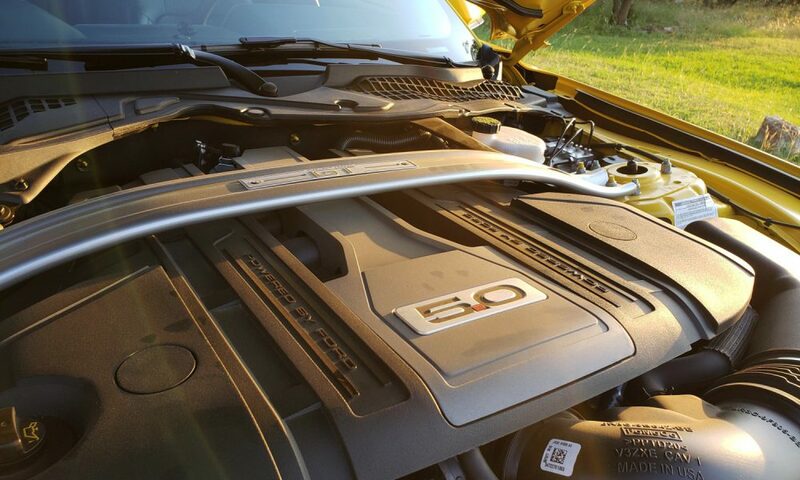 The Mustang GT’s most attractive quality is its engine. The Coyote 5.0 tempts you with its baritone rumble like a little devil on your shoulder. “Come on, go for it. You can outrun them. 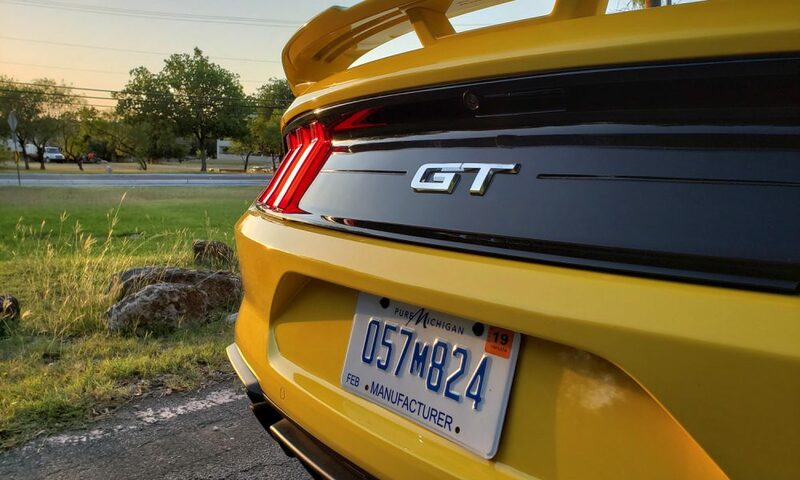 Go!” Future generations will look back on 2018 Mustang GT the same way we look at its 1968 GT counterpart. The one to get has the V8.